For more information about my creative process and a detail photo, drop on by the LYB blog. For more about my process in creating this layout, visit the LYB blog. Pop on over to the Page Maps website to check out all of the beautiful layouts that the team made using Becky's great sketches. CHA is ON! and over at the Bella Blvd blog for the next 2 weeks there is going to be updates from the show and lots and lots of inspiration using the new products. I encourage you to drop on over tot he Bella Blvd blog to check it out. The new ranges look just great and I can't wait to be able to play with them myself. Although we don't do Thanksgiving in Australia, there is no doubt that I am still going to get lots of use from this range. If you want to check out the range in more detail, and be in with a chance to win, pop on over to the Bella Blvd blog. I just love the colours in this range. If you love it as much as me, pop over to the PP blog and leave a comment to go in the draw to WIN! Plus - you can check out the full Portfolio range. 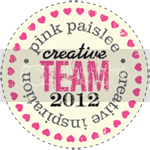 Drop on by the Pink Paislee blog to check out the full range (including amazing embellishments!) and to leave a comment to go in the draw to WIN! Over the next week I am going to be sharing with you pictures of new releases from Bella Blvd and Pink Paislee. I suggest that you pop on over to the Bella Blvd blog and check out more photos of the range along with some beautiful layouts ... and also go in the draw to WIN! I was so excited to be asked to ride along with Little Yellow Bicycle and use the new Escape range for them! I am not usually a fan of bike riding, but this is definitely an exception. The full post can be seen here on the LYB blog. Pink Paislee have released a new range called Declaration and as part of the release they have put together a projects booklet, with step by step instructions, for a stack of gorgeous projects using Declaration. What I love is that although this range is aimed at Independence Day in the US with it's bold red, white and blue colour scheme - it works perfectly for a range of topics! You can access the booklet online here. Went scrapping on the weekend - had a great weekend but only DT projects worked on so nothing to share at the moment.